We are happy to be associated with Homes & Equity R.E. Group based out of Bellevue, Washington. Partnering with Homes & Equity R.E. Group allows our company to serve our clients while providing professional administration assistance to our group. Special thanks to Homes & Equity R.E. Group. Northest Multiple Listing Sercvice (NWMLS) is a not-for-profit member owned organization of over 23,000 real estate professionals. The purpose is to provide resources to their members that benefit the communities they serve. Being apart of the NWMLS allows our clients to have up to access to thousands of properties across the state of Washington. 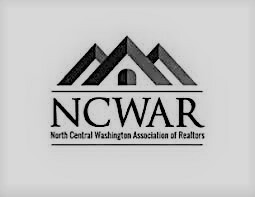 The North Central Washington Association of REALTORS, Inc. is a professional trade organization. The purpose of which is to provide a variety of services to the members and to the community as a whole. Established in 1926, it is a vital, energetic and progressive organization, which prides itself on the professionalism of its members. NFIB members are a diverse group consisting of high-tech manufacturers, retailers, farmers, professional service providers and many more. Over 325,000 like-minded business owners on a mission to fight for your right to own, operate and grow your business.